All this year, visit your Valvoline service location and get a Valvoline Game Card to play the Valvoline Drives Instant Win Game at ValvolineDrives.com. Play for a chance to win a Valvoline Full Synthetic oil change or other great prizes. During the Promotion Period, obtain an official game card at your local participating service location that uses Valvoline oil, or available upon request from a participating service advisor that also is employed by a participating service location that uses Valvoline oil. Follow the links and instructions to complete and submit the registration form, including your game code and a valid email address. Select the Valvoline oil change you prefer. Once you submit the form and your code is validated, you will automatically receive one Instant Win Game play for that day and proceed to the Instant Win Game page. Follow the links and instructions to play the Instant Win Game. The Instant Win Game results will be instantly displayed. Potential winners of the Instant Win Game will be provided directions for validation. 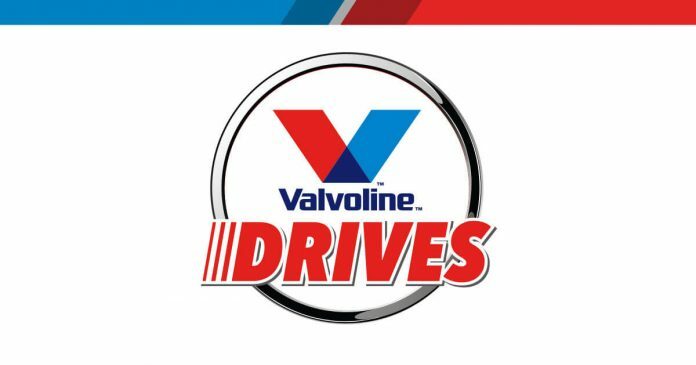 The Valvoline Drives Promotionis open only to individual legal residents of the fifty (50) United States and Washington, District of Columbia, who (i) are at least age eighteen (18) at the time of entry and (ii) have a Valvoline Drives account. Begins on February 1, 2019 at 12:00:00 a.m. ET and ends on the earlier of December 31, 2019 at 11:59:59 p.m. ET or when available prizes are awarded. One Game play per 90-day period during the Game Period (first 90-day period begins on the date the first prize is awarded; second 90-day period begins on the date the second prize is awarded and so on until the end of the Game Period). The Game offers one hundred twenty-one thousand two hundred (121,200) random, computer-generated ‘winning times’, one winning time for each prize. TOTAL ARV OF ALL PRIZES: $1,500,000. to winnerslist@pfcfulfills.com with “40795 Winners” as the subject line. Winner list requests must be received no later than January 31, 2020. Promotion Fulfillment Center, 311 21st St., Camanche, IA 52730.